Are you ready to give out shout-outs and requests for your favorite songs and hear yourself on air?! 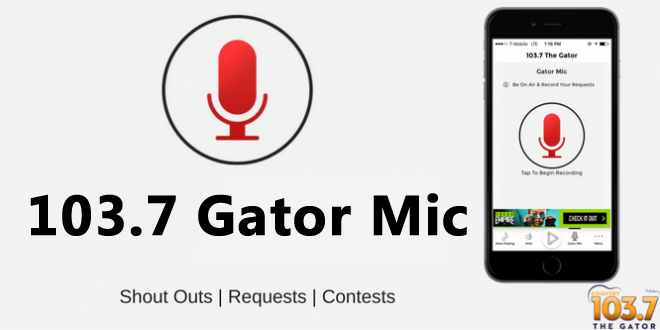 Check out our NEW 103.7 THE GATOR APP! 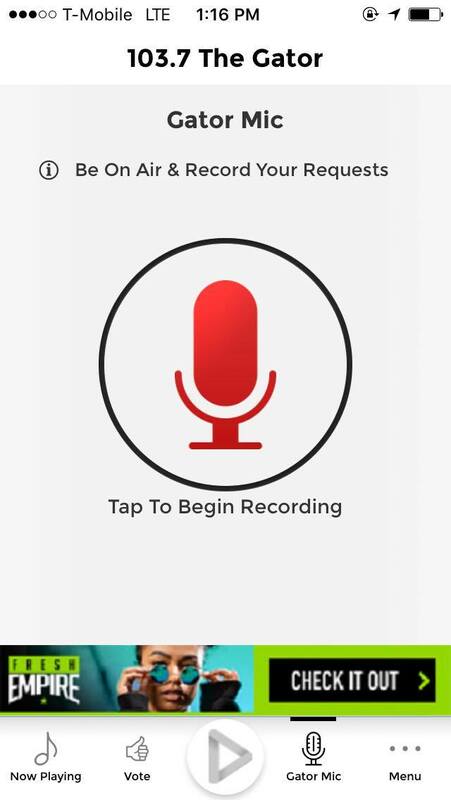 Tap on the Gator Mic button and record your own personal shout-outs and requests. Then tune in to hear yourself on 103.7 The Gator! No need to dial in… just tap one button to recieve texts about contests, and your favorite upcoming artists and songs. That’s right! 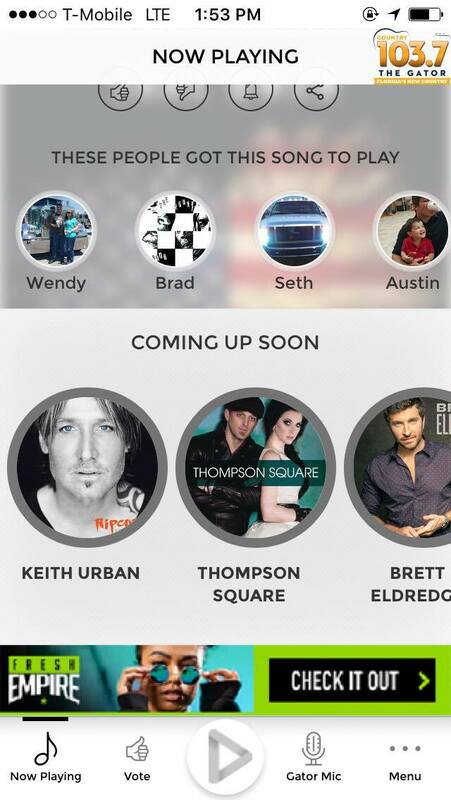 The Gator app will send you noticationa to catch your favorite artists and songs on 103.7 The Gator! Love the last song?.. What was the name of it again? Want to control the music? Be a Gator DJ! 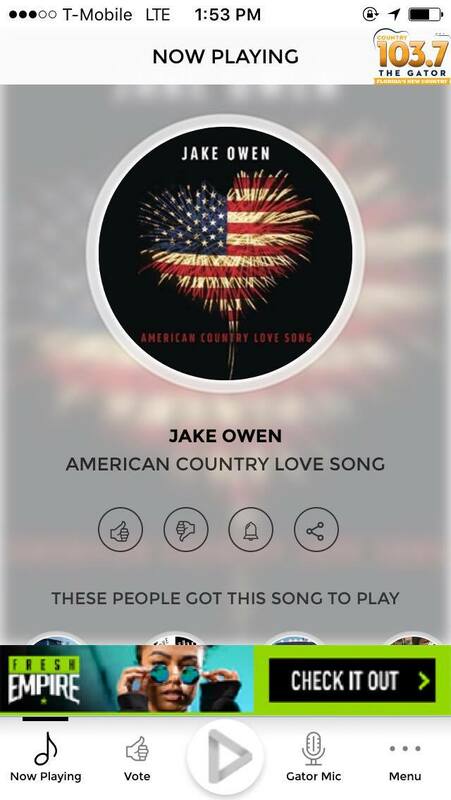 Vote for your favorite songs on the app- and we’ll play em on 103.7 The Gator! 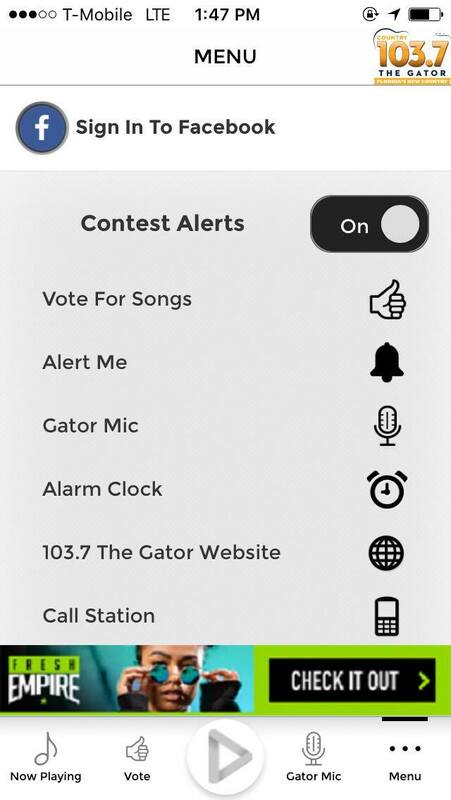 The new Gator app allows for special station takeovers, custom voting and more! 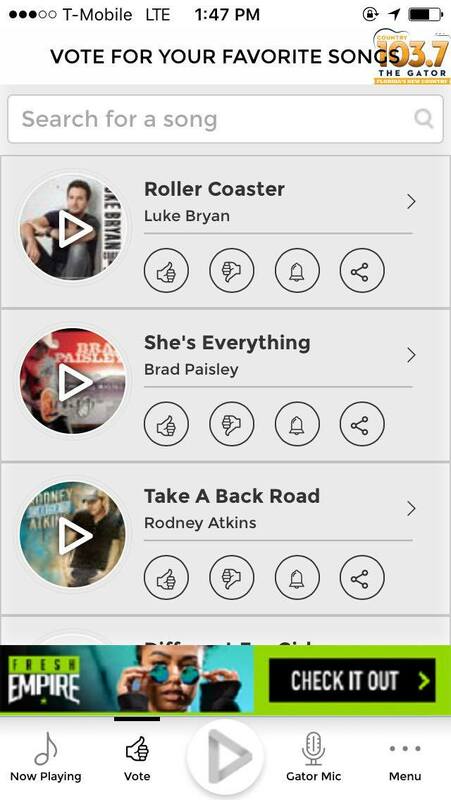 Play what YOU want to hear with The Gator app! Next Download The All New Gator APP!